Army Institute of Management & Technology MBA Admission 2018 will be done on the basis of scores of CAT/ MAT/ CMAT/ XAT. The admission to the MBA programme in Army Institute of Management & Technology (AIMT Greater Noida) is open for the indigent wards of serving/ retired Army personnel. The MBA programme is designed for dual specialisation as per choice and aptitude of the participant. This page provides the complete details on Army Institute of Management & Technology MBA Admission 2018 which includes information about the important dates, eligibility requirements, application process, etc. Army Institute of Management & Technology (AIMT) is established by the Army Welfare Education Society (AWES) in 2004 in the city of Greater Noida, UP. This page gives the complete information on Army Institute of Management and Technology (AIMT). The main objective of the AIMT is to transform students through generating and propagating new ideas of significance. The candidates must fulfil all the conditions of eligibility of the qualification to apply for the admission to the MBA programme.The AIMT will verify the eligibility of the candidates at the time of admission. If a candidate is found to be ineligible at any stage during the whole process, the college keeps the right to cancel his/her admission or candidature. Age Criteria: The candidate should be below 35 years old on 1 July 2018, the candidates born on or after 2 July 1983 are eligible to apply for AIMT MBA Admission. Candidate must have obtained minimum 50% aggregate marks in any Bachelor’s Degree of minimum three years recognised by the Association of Indian Universities (AIU). Candidates must have scored minimum 50% aggregate marks in any Bachelor’s Degree in Engineering or Technology or any qualification recognised as equivalent. Candidates must have qualified the final examination of the Institute of Chartered Accountants of India or England, the Institute of Company Secretaries of India or the Institute of Cost and work Accountants of India or England. Candidates appearing in the final year of graduation are also eligible to apply. However, the admission will be provisional subject to production proof of having acquired the minimum prescribed qualification at the time of admission. Candidates are required to furnish proof of having attained minimum qualification laid down by 15 July 2018. The candidates applying for the admission in AIMT MBA programme should be certified physically and mentally fit. A related certificate for this effect is required to be submitted by the candidate at the time of joining the institute. The admission of the candidates in the Army Institute of Management and Technology (AIMT) for MBA programme will be done through the online or offline application. The candidates filling up the application form can submit the form either through online or offline mode. The detailed steps and the procedure of the application submission is given on this page. The instruction to apply for MBA programme in AIMT through online or offline mode is given below. The candidates can apply through any of the given methods according to their choice of convenience. The steps to fill the online application is given below. The candidates are advised to follow the instructions below to apply for the admission to MBA course Batch 2018-20 at Army Institute of Management and Technology. To fill the AIMT offline application, the candidates can apply by any of the two ways given below. By obtaining AIMT Information brochure: Candidates desiring of seeking admission to AIMT MBA Admission can obtain the Information Brochure/Prospectus from the Registrar, AIMT by hand by sending their request along with a demand draft to the Army Institute of Management & Technology payable at Greater NOIDA. Download the AIMT Application Form: The candidates can download the application form from the link given below. The candidates must submit the application form to the address given at the end of the page on or before 31 January 2018 along with demand draft. STEP 2: In this step, the candidates need to fill the personal, educational details along with the communication address. Afterwards, the candidates need to upload his/her photograph. STEP 4: In this step of filling the AIMT application form, the candidates need to upload the relevant documents which are mentioned below on this page. STEP 5: At last, the candidates need to click on the "Next" button to redirect the payment page. The application will be completed after paying the application fee. Statement of Marks CAT/ MAT/ XAT/ CMAT with aggregate marks. Statement of Marks of higher degrees/examinations. The candidates can pay the Army Institute of Management & Technology (AIMT) application fee by any of the following method mentioned below for both online as well as offline payments. Online Payment: Applicants can pay the application fee for the AIMT Application Form at the time of their online application filing using any of the modes listed below. Offline Payment: Applicants can pay the appropriate application fee for the AIMT MBA Application form in two of the ways given below. Sending Demand draft to Office: Applicants can order and pay for the Application form and prospectus in advance by sending the demand draft of Rs 750 in Favour of Army Institute of Management & Technology Payable at Greater Noida Rs 50 is to be added if the prospectus is required by post. At the time of Application Submission: Applicants can pay the application fee at the time of the submission of the application form by sending the demand draft of Rs 750 along with the Application Form and required documents. The candidates are required to check all the details of the application form before the final submission because once the application has been processed, then the candidates will not be able to do any changes. The candidates are advised to complete the procedure of filling the application form in a proper format because once your application gets processed, you will not be able to do any changes. 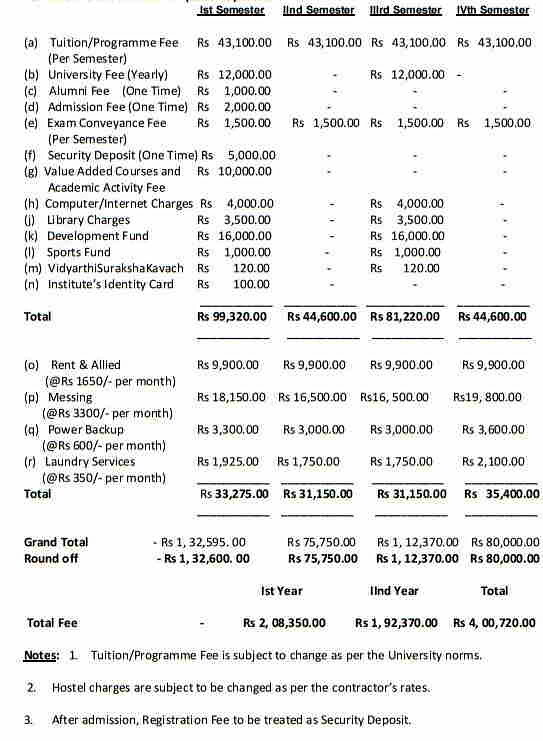 The candidates need to pay Rs 750 as an AIMT Application Fee. However, Rs.50 is to be added, if the candidates are obtaining the information brochure/prospectus by post. Applicants submitting the application form after 31 January will have to pay the late fee of Rs 200 along with the actual application fee for the form. The applicants shortlisted for the selection will be informed via their registered Email ID about the detailed schedule of their GD and PI Sessions at the campus, the list of shortlisted candidates will also be published here on this page whenever available. Date of Birth. Preference will be given to the younger candidate. The candidates need to appear in any one of the entrance tests from any one of the CAT/MAT/CMAT/XAT entrance test. The candidates can find the exam pattern and the syllabus for each of the tests by following the link for each. Common Admission Test: CAT also known as Common Admission Test is conducted for admission to various post graduation management programs in IIMs and various other Indian universities and colleges. Common Management Admission Test: CMAT is also known as Common Management Admission Test which is administrated by the AICTE for the graduate students for admissions to the MBA colleges under CMAT. Check CMAT Exam Pattern. Xavier Aptitude Test: XAT also known as the Xavier Aptitude Test is a pen and paper-based test for the screening of the best candidates of India for MBA Admissions across the reputed B-Schools of India. 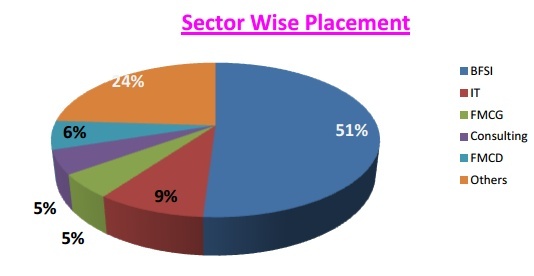 The College Placement cell guides the students in identifying the specific areas and organisations for the project. The Institute has developed a strong and vibrant industry interface due to its proximity to large corporate houses. Highest Salary: Rs. 7.2 Lacs per annum. Average Salary: Rs. 4.28 Lacs per annum. Information Brochure will be available at the following locations also. Thus, the candidates can obtain the same from these locations also. Shankar Vihar Delhi Cantonment, New Delhi-10. AWES Cells of all Command Headquarters. AWES Cell, HQ Delhi Area, Delhi Cantt.